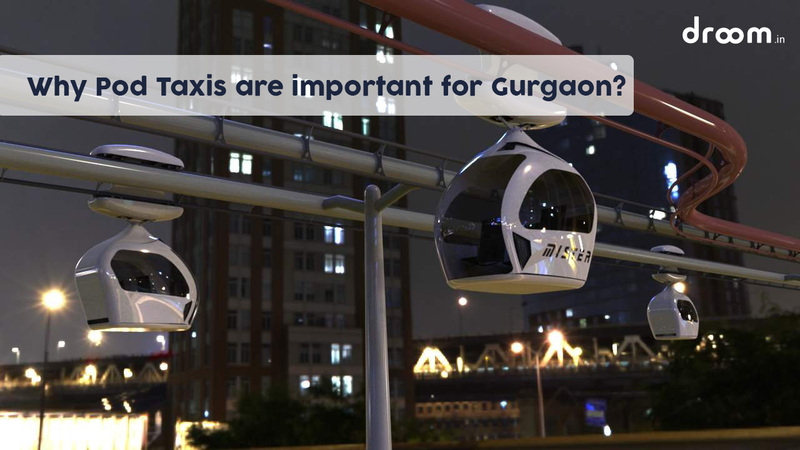 Revolutionary pod taxis are going to debut in Gurgaon by 2017. Here are some interesting facts one should know about future of public transport. 1. A personal rapid transit (PRT) network is a fully automated rail based public transport system. It uses small automated electric driven podcars with a capacity of 4-6 people on elevated guidways. Vehicles are electric but the power doesn’t come from batteries. Power comes from electric contacts in the guideways. Stations are off the mail lines and travel is non stop to the destination chosen by the passenger. This approach ensures point to point travel bypassing all intermediate stations. 2. This system will act like personal taxis and provides highly on demand,congestion free and 24×7 operation.This type of transportation is required in urban cities where traffic problem has a great concern. Due to shortage of land and low reserves of oil, environment friendly transport running on electricity is a good alternative to urban transportation. 3. First PRT came into service at West Virginia University, Morgantown in 1972. It has 8.7 miles of guideway with 5 stations and 70 pod cars with about 15000 riders per day. 4. In 2010,PRT started in Masdar City, Abu Dhabi. It has 1.2km of one way track serving Masdar Institute of Technology. 5. In 2011,Ultra PRT system became operational at Heathrow International Airport,London connecting business car park to the central terminal 5 area through a 2.4 miles of guideway and 21 podcars at 25mph. 6. The National Highways Authority of India PRT project will span a 13 km stretch from the Gurgaon-Delhi border and is estimated to cost Rs 850 crore. There will be 16 stations starting near Ambience Mall. 7. The success of this transport system is measured by cost savings, environmental impact and user-friendliness. This will define locomotion in the city of tomorrow. Buy Honda Activa Scooter for Trendy & Comfy Ride! Droom Scooter Looter Sale is Back Again!